Anyone who has ever taught knows that teaching is hard work. You have to maintain student attention, have some knowledge of your subject, understand scope and sequence – what is it that sixth-graders (or whatever grade you are teaching) can reasonably be expected to know already. You need to understand the prerequisites for what you are going to teach. 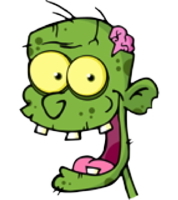 When you talk about that app your nephew did where he used a talking zombie to help you memorize the parts of the brain, you and I are not really thinking of education in the same way. To me, that is an electronic version of flash cards. That’s not a terrible thing. I’ve used flash cards in my life a time or two to learn (and teach) multiplication tables, vocabulary for a foreign language class and probably some other things. So, I won’t go hating on them, but I also wouldn’t say these are the best educational options we can deliver. Let’s say you want to teach students measures of central tendency – mean, median and mode. Some of the prerequisites include being able to add a column of numbers, being able to divide, understanding the concepts of fractions and decimals, unless you believe that every single mean is going to be a whole number. Now … at what grade could you reasonably expect the average students to have mastered all of those prerequisites? If you’re a teacher, especially in middle school, there is a good chance that you know the answer to that. It is unlikely that your 13-year-old nephew does and it is even less likely that your average 23-year-old programmer does. At least your nephew can reflect back on when he learned that information. The programmer learned it long enough ago that he’s probably totally forgotten what years that was. Educational games developed by non-educators sometimes involve a lot of hand-waving – “it can be used by anyone who is at that level” – whatever THAT means. Most teachers, inconveniently, don’t teach ‘anyone at that level’. They teach a specific grade. I can go on about how not to do things but I’ll leave it at this. 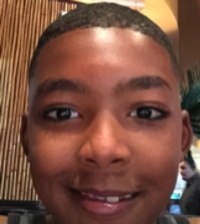 If we know teaching is hard, how can we possibly imagine that we can take teaching and then on top of that add game design and on top of that add software development and on top of that add sound, art and animation and assume it could be done just fine by a 13-year-old. Could someone learn parts of the brain from the zombie app? Sure. You could also learn your colors and how to read in a candy store because the candy has labels with words on it and comes in different colors. That doesn’t necessarily make it good education. 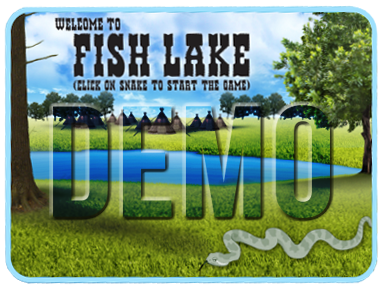 If you’d like a Fish Lake demo, made with input from 13-year-olds but by our staff of grown-up teachers ad software developers, click here.